Popovich initially chuckled, brushing off the idea of a political career. Then he revealed just how much he respects Kerr, who played under him 15 years ago and has gone on to become a two-time championship coach with the Golden State Warriors. “I should be his Vice,” Popovich told The Bay Area News Group. They’re two of the most respected basketball coaches in the NBA. They’re also close friends who share similar views on social and political issues. Their words have resonated with many people, inspiring websites that support them as a presidential ticket. One of them, www.popovichkerr2020.com, has created mugs and T-shirts in the style of campaign posters. But, unfortunately for their supporters, Kerr and Popovich also have something else in common. “Both of us realize that we’re not built or qualified for such an office, nor do we desire it,” Popovich said. There’s a deep well of respect between Popovich and Kerr. They sing each other’s praises, jokingly take shots at each other in media sessions and genuinely feel a bit torn when their teams play each other. Thursday night won’t be easy for either of them. They met in 1998, back when Popovich, now 69, wasn’t yet the venerated architect of a franchise that has made 20 consecutive playoff appearances and won five NBA championships. 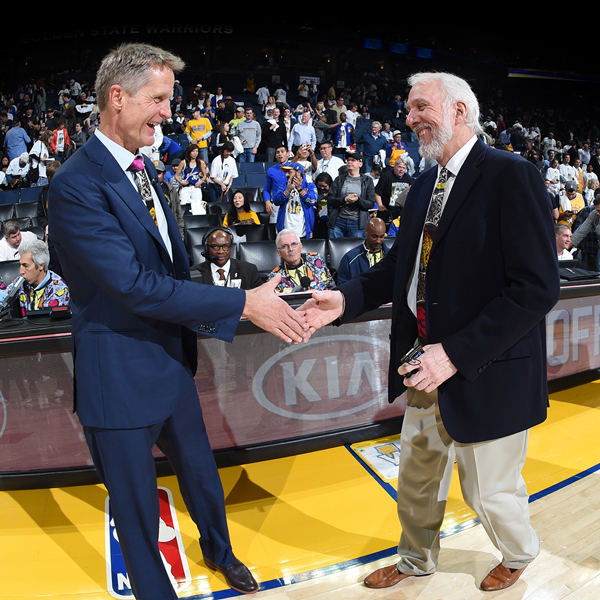 Kerr, 52, played under Popovich during two different stints in 1998-2000 and 2002-2003. Popovich had just become the Spurs’ head coach in 1996, and was trying to get his feet on the ground. Popovich asked Kerr about his family, including his father, Malcolm, an American academic who was assassinated in Beirut in 1984 in an act of terrorism. Popovich’s interest went a long way with Kerr. Kerr had played under some great coaches, including Lute Olson at the University of Arizona and Phil Jackson with the Chicago Bulls. But Popovich always did things differently. Popovich used to divide players into shooting groups based upon their political beliefs. He’d say if you voted for George W. Bush, head to this end of the court. If you voted for Al Gore, head to that end. One time he used the tax increase; those in favor in one group, those opposed in the other. 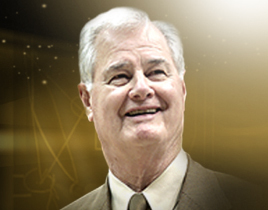 It was always something new, something that encouraged his players to broaden their horizons. “It was just a good way of making guys think,” Kerr said. Whenever discussions broke out over those issues, Kerr always stood out. He was thoughtful and opinionated. He’d speak up, ask questions and express his views. It made a big impression on Popovich, a graduate of the Air Force Academy who once had considered a career with the Central Intelligence Agency.